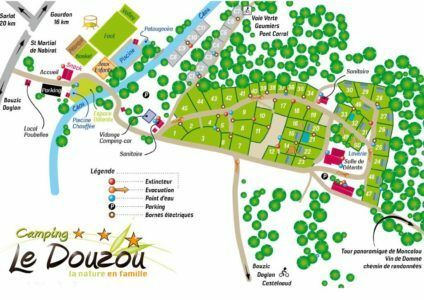 Are you looking for a campsite in Dordogne by the river ? The Douzou is crossed by the river Céou. Its water is clear, transparent and unpolluted. Relax and let yourself be rocked by the sound of its flow. There is no sea in the Dordogne but at the Douzou there is the river “Céou”. 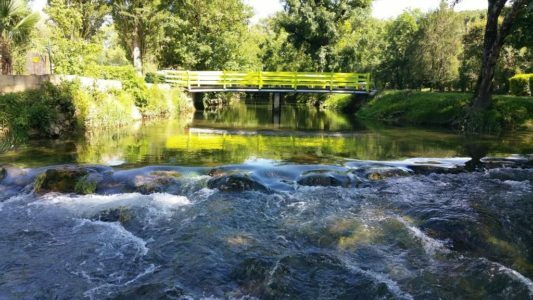 This tributary of the Dordogne crosses the campsite and divides it into two parts. You can camp or have fun at the water’s edge. A river in the heart of our campsite. The Dordogne is a preserved place. Its landscapes, culture and history have been spared by urbanization and overcrowding. This department is renowned for its low pollution and the preservation of its natural spaces. The same goes for its streams and the river “Céou” which crosses our campsite. This tributary of the Dordogne, has its source in the neighboring department of Lot (46). The quality and cleanliness of its water are verified by its transparency, helped by the many natural sources that feed it. 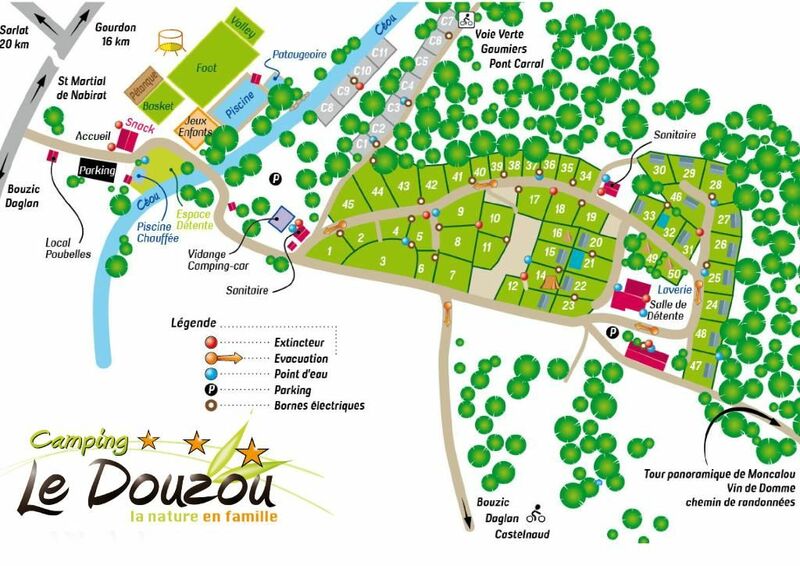 The Céou is an asset for our campsite, it is the identity of the Douzou. The river divides our campsite into two parts connected by a bridge. The Céou is the boundary between the activity and amusement area of ​​the campsite and the accommodation zone. This separation helps to ensure calm for people who do not wish to be disturbed by the noise on their location. Pools, snack bars, playgrounds, sports fields and petanque are located on the other side of the river. Your holidays by the river. You can choose to camp at the edge of the water on one of our eleven large pitches with electricity reserved for tents, caravans and motorhomes. The Céou is also a place of fun, especially for your children. It is a calm and shallow river. Many spaces are available for holidaymakers wishing to swim, relax or picnic by the river. But the special feature of the Douzou are canoes available for free with all equipment (lifejackets and paddles).